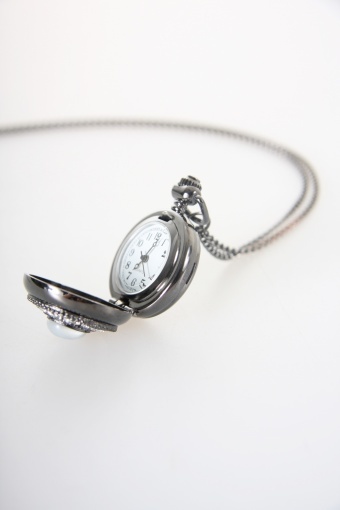 Stylish necklace watch necklace Strass Blanc From Paris with Love! Made of dark silver coloured metal (leadfree). 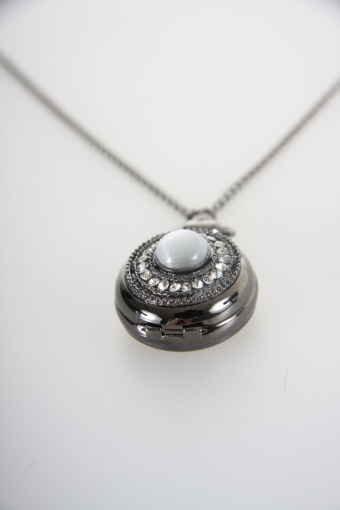 The clock with white rhinestone detailing can be opened. Cute birthday present!